Heartbeet is a vibrant lifesharing Camphill community and licensed therapeutic residence, nestled in the Northeast Kingdom of Vermont in the hamlets of Hardwick and Craftsbury. Heartbeet includes adults with developmental disabilities and interweaves the social, artistic, and agricultural realms for the healing and renewing of our society and the earth. It is a community where everyone, regardless of ability, can find meaning, dignity and reverence for life. Community members live and support each other, in beautiful, extended family households, forming a mutually supportive environment that enables each individual to discover and develop his or her unique abilities and potential. Long term co-workers, adults with developmental disabilities and volunteers who come for a year of service, or more learn, play, and work together. Community members care for and grow with one another, celebrating the myriad of joys and challenges of life. Our anthroposophical foundation manifests itself in the recognition that each human being comprises a body, soul and spirit, and that each of these aspects has the capacity to grow. We recognize that we can actively support each other on our inner journeys by the ways we live, learn and work together. Rudolf Steiner, Ph.D., was born in Austria in 1861. He studied science and philosophy, edited Goethe’s scientific works, and developed Anthroposophy. Anthroposophy derives from two Greek words — anthropos, “human being,” and sophia, “wisdom.” As Theosophy (“Theo” and “Sophia”) means wisdom of God, or divine wisdom, Anthroposophy means “wisdom of the human being” or the wisdom that knows what it means to be human. In other words, it is a path of self-knowledge. Steiner considered Anthroposophy to be a science of the spirit. In his Anthroposophical Leading Thoughts, written in the last year of his life (1924), Steiner wrote: “Anthroposophy is a way of knowledge — a cognitive path — that leads the spiritual in the human being to the spiritual in the universe.” Rudolf Steiner practiced this path, and his perceptions into the spiritual world, communicated in his books and lectures, laid the foundation and established the parameters of Anthroposophy. Of the many activities arising from the work and writings of Rudolf Steiner, Waldorf education is perhaps most well known. It is a method and curriculum for child education that is based on Steiner’s ideas about stages of development. In the field of caring for people with special needs, the practices of Curative Education, Youth Guidance, and Social Therapy are based on Steiner’s ideas, expanded by Dr. König. Biodynamic agriculture, Anthroposophical medicine and architecture; eurythmy (speech made visible through movement); Anthroposophical organizational development; and many other art and therapy forms have their origins in the works and writings of Rudolf Steiner. Dr. Karl König was an Austrian pediatrician and educator who fled the Nazi annexation of his own country and settled in Aberdeen, Scotland, in 1939 with a group of young physicians, artists, and caregivers. These people founded the first Camphill community with children having developmental disabilities. Dr. König and his colleagues were inspired by Anthroposophy, the teaching of philosopher and educator Rudolf Steiner. Dr. König’s vision was to develop lively Camphill communities together with people who have special needs. His special gift was to understand and focus on the abilities of each person, not the disabilities. Through teaching and modeling, he turned this gift into an effective approach for improving the lives of people with special needs, an approach based on community members teaching and learning from each other through the experience of day-to-day living. The Camphill pioneers developed the goal and some of the methods for how the needs of each person could be met in a cooperative community, each member contributing his or her own special gifts and talents. This vision lives on and each new generation in Camphill strives toward achieving it. Through this vision, the international Camphill movement consists of more than 100 communities in 22 countries. 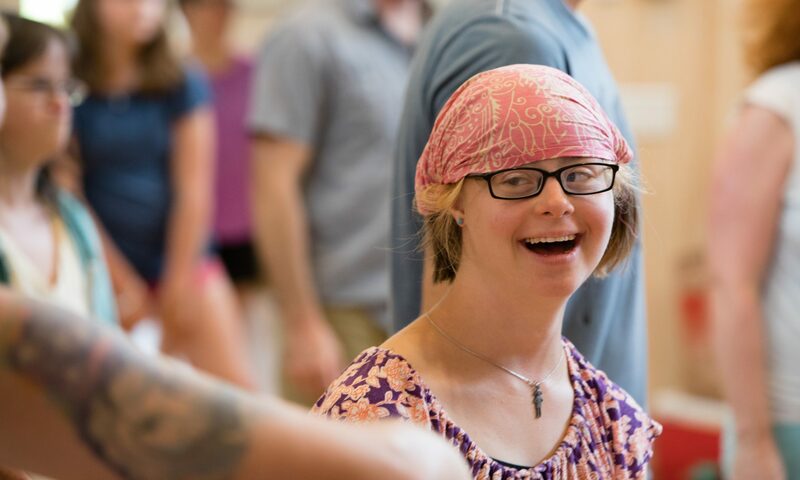 Camphill continues to work to create communities in which children, youth, and adults with special needs can live, learn, and work with others in healthy social relationships based on mutual care and respect. Camphill was established in North America in 1959. Today, Camphill in North America consists of twelve independent communities that are home to over 1000 people whose daily lives are full of vitality and accomplishment. These communities serve and impact thousands of other people in the surrounding areas. The twelve communities live and work on over 2,500 acres of land, which is cared for utilizing organic and biodynamic methods. These communities share common goals and ideals, with each community having its own focus and culture. From agriculture to the arts and social renewal, the work of these communities is broad and dynamic. In 2000 Hearbeet Lifesharing became a reality, born from the wills of its founder’s Ann Blanchard, Hannah Schwartz, Jonathan Gilbert, and their children; Renna, Josiah, and Lyla (Jasper was to join them later into the early years of the community). In 2001 Heartbeet signed a lease-purchase agreement for the communities 160 acre Town Farm property in Hardwick Vermont. We Are A Camphill Community! In the Years Leading up to 2011 Heartbeet underwent an incredible amount of transformation. In 2006 Kaspar House was built and shortly after in 2008 Konig House was realized and the community grew to over 30 people. In October of 2011 Heartbeet was formally admitted to Camphill Association of North America and became the newest of 12 Camphill Communities in the Region. Today Heartbeet is 54 community members living in 6 lifesharing homes across two properties in the Hardwick and Craftsbury areas, on 227 acres of biodynamically stewarded land. Heartbeet hosts community-oriented cultural events within the northeast kingdom of Vermont in the Community Center and Sophia Hall. Community members find artistic exploration in the areas of felting, fiber arts, paper making, woodworking, and other seasonal opportunities that allow each person to develop and explore a medium for personal artisanship. Heartbeet is vibrant, multicultural and is poised to flourish while carrying the flame of the Camphill movement into the future. Choose Your Way to Engage. Heartbeet’s community center is an inclusive cultural hub in the Northeast Kingdom of Vermont offering regular events centered in preforming arts and community engagement, drawing on participation from the greater Vermont area and out of state visitors. Wish to Reserve the Community Center for Your Event? Annie Jackson and Samantha Stanley were featured on this month's cover of Communities Magazine! Here is a link to the full story by Kam Bellamy of Camphill Hudson.